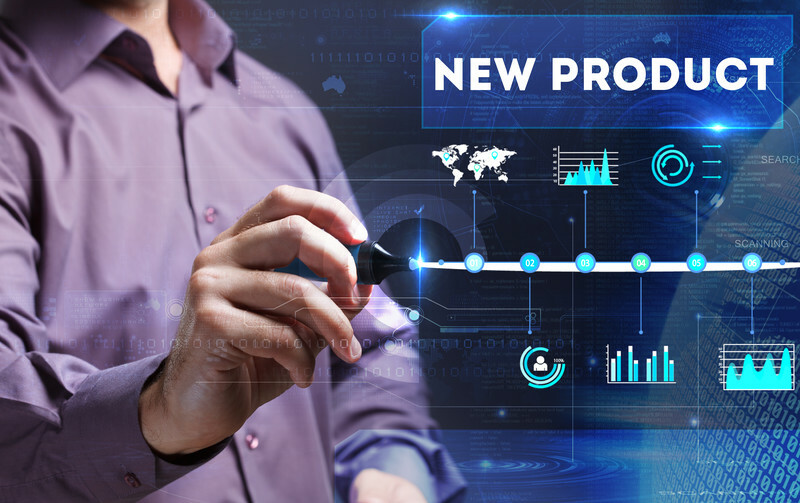 New products are key to a successful business – they breathe new life into a business, create excitement, and allow companies to keep up with the ever-changing marketplace. But, many businesses are at a loss with how to develop forecasts for new products. There is a lot at stake. If the forecast isn’t high enough, a company may lose profits due to missed sales, or the increased cost of expediting production and shipments. If the forecast is too high, it may result in markdowns, or unproductive inventory that ties up cash. It is imperative to have a well-thought out plan for introducing new products. It can be tempting to rely on gut feelings, or the opinions of management or sales, when developing new product forecasts. This is what often happens in new product development, but it may not always be reliable. Luckily, most new products have characteristics or attributes that resemble existing products. Therefore, historical data can be used for most new product forecasting. Items should be categorized into a hierarchy when being set up, and attributes assigned to them. What are the important selling points for your merchandise? These should be your attributes. With proper categorization, companies can slice and dice their sales data and gain valuable insight into what qualities are trending up, which characteristics are down-trending, and where the whitespace is in the market. They can also forecast new products based on the past performance of items with similar characteristics, or attributes. It is best to look at a cluster of similar items to determine which life cycle curve the item fits, rather than a single item. Is this an item whose life cycle will be short-lived? Is it a fad or super trendy? Is it a technological item which will be replaced in the near future? Or is this an item that has a longer life cycle? You will also want to look at this cluster of items to determine when the sales peaks happen. For example, Christmas décor will peak at a different time of year than patio décor. The pattern of which a group of similar items sells is its sales curve. Some factors that may affect sales curves are promotional events, seasonality, and holidays. This will help you schedule production and once the product is launched, predict future sales demand. Once you have a good idea of what your product life-cycle and sales curve are, then you can forecast demand. You can start by looking at demand of a similar item, an item with the same attributes. But then adjust for the things that are happening in your Marketplace that will affect demand. Is the category trending up? Will there be Marketing behind the product? What is the competition for this item? Is there room for additional items in this category? Early indicators can give you great insight into demand. Prior to product launch, you can put teasers on your website for customers to preview your product. You can gauge demand by the number of web page visits you receive, email demand, social media likes, or even by preselling the product. As you near product launch, continue to keep an eye on contributing factors that may affect selling and strategize accordingly. Once the new product hits the market, pay attention to the early reads and use the sales curve to project future demand. With a well-thought out plan, forecasting for new products doesn’t have to be daunting. Using the data you already have, you can successfully forecast a new product. [basic-code] ™ offers the Sales Analysis & Forecasting Tool © which enables efficiencies to improve forecasting, manage inventory and make strategic decisions that positively impact the bottom-line.